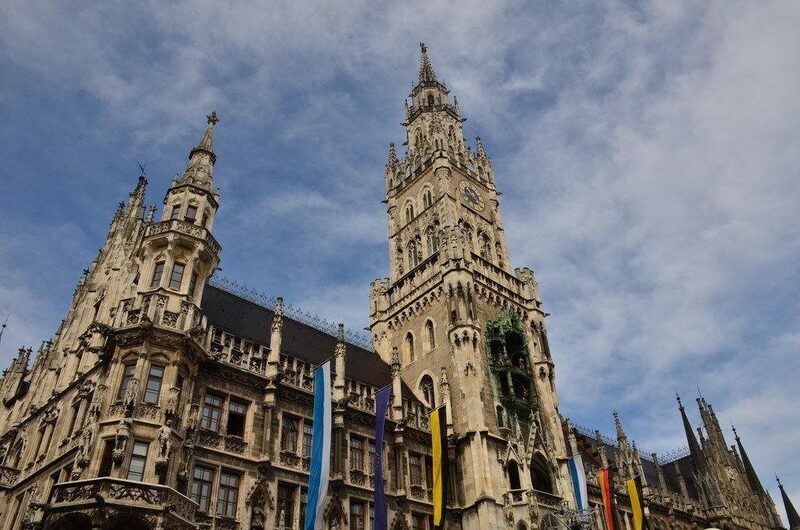 It is not my first trip to Munchen or Munich but the city was my first introduction to Germany a decade ago. I had already fallen in love with Germany after my experiences on the Rhine cruise and the Black Forest and Munich just overwhelmed me. This is my third trip to Munich and I am still lost in the many beautiful monuments, the fountains, the legends and the stories. Walking around Marienplatz and Odeonplatz, I was fascinated by the Gothic and Baroque architecture of the buildings that fill the city. 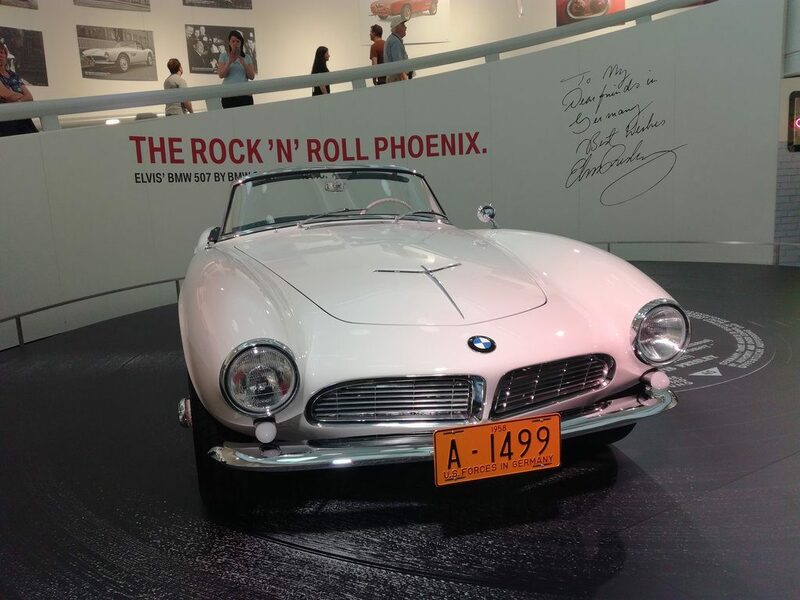 I got to spend almost five days in the city and here are my suggestions on the top ten things to do in the Munich . Munichen as the medieval city was earlier called means “by the monks”. The old town is where the monks had a monastery. Three of the four gates of the medieval town is still there as you explore the town. But there is more to Munich than just the city centre. Beer and soccer defines the Bavarian city. 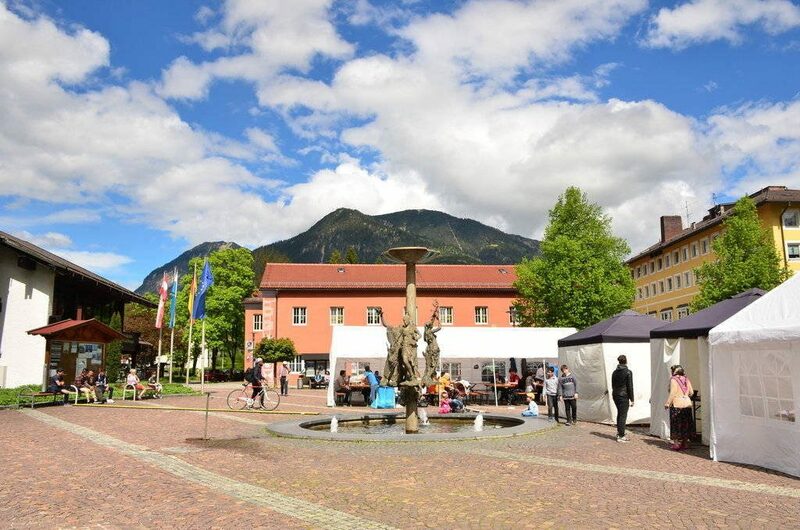 The town is the gateway to the Bavarian Alps. The culture spills into the streets and tradition defines the medieval town. The women look charming in their traditional costumes. And there are stories everywhere. I flew to Munich on board the Lufthansa A350 and the city is now a bustling hub to the European destinations. Meet Munich through my eyes as I explore the city and share my impressions of this beautiful Bavarian city with you. 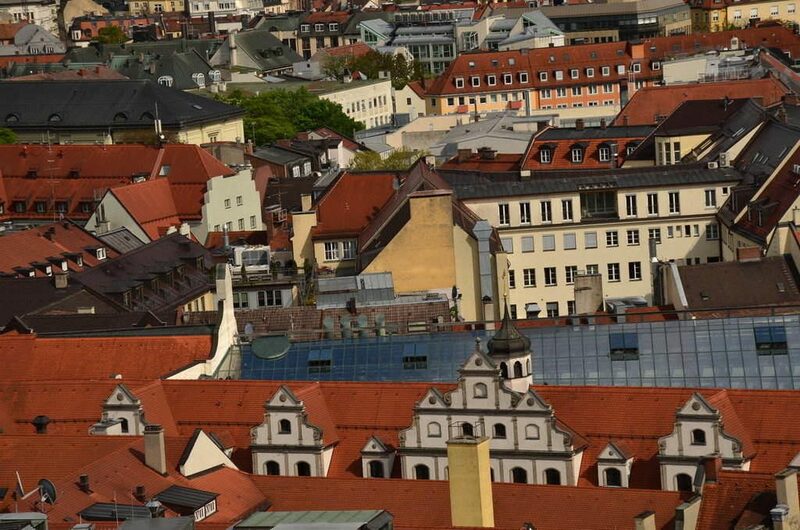 The heart of Munich lies in its markets and beer gardens . The first thing I heard when I came to Munich was about the largest beer garden in the city – Hirschgarten which can actually house over 8000 people. But what is fascinating about this historic and 200 year old beer garden is the deer park which is actually a part of it. While it was one of the hunting grounds of the royalty, one of the stories talk about a deer that escaped and drank the beer . Apparently it was killed later, but then I seriously wondered who was drunk . 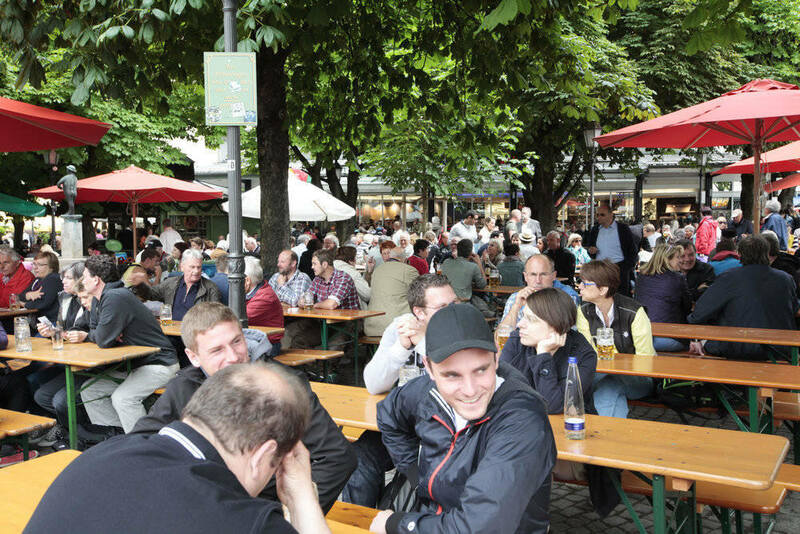 The beer garden is an icon of Munich, just as Bavaria stands for beer and personally I think heading to the beer garden should be one of the top ten things to do in Munich. Think Munchen and you think Biergarten or beer gardens and just an Oktoberfest is not enough to celebrate beer . Beer is a religion here. And this drink of the Gods was brewed by the monks and the Holy Brew was slowly marketed as well. 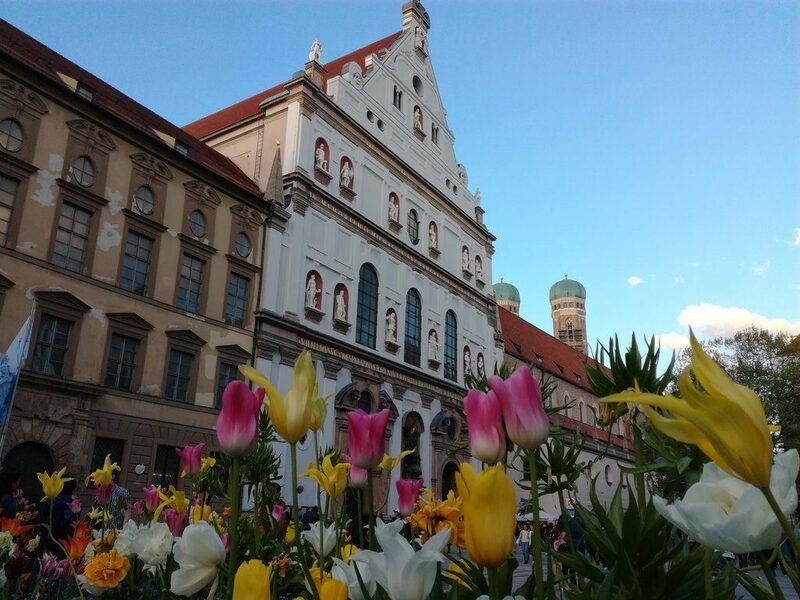 Although Abbey Beer is as old as 800 BC in Bavaria, the beer garden came into existence much later and is virtually an icon of Munich’s culture. Legends say that with beer regulations coming in, many breweries created cellars where they stored beer in the winter. But in summer, they just sat under the shade of the chestnut trees, put out a few benches and created an atmosphere to drink beer and the beer garden came into being. Historically however, the first beer garden came up in the 19th century at Augustinerkeller surrounded by over 100 chestnut trees. There are several beer gardens in Munich and one of the most tourist friendly is Hofbrauhaus. 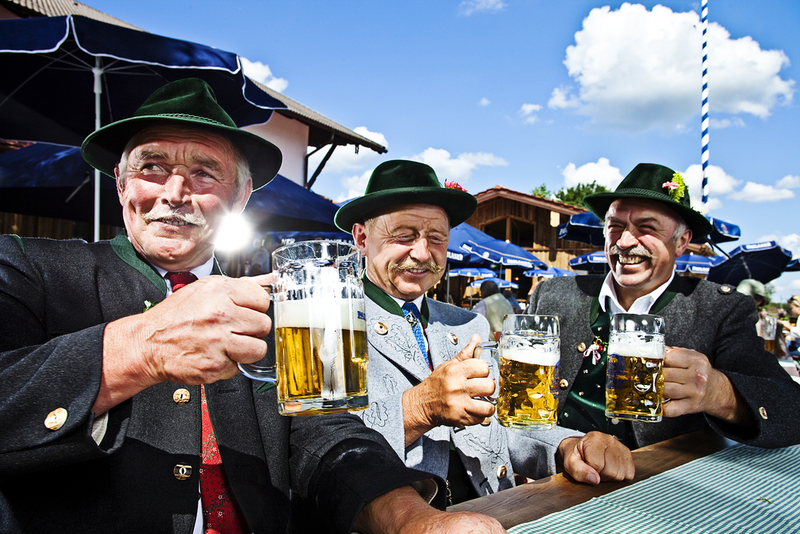 Bavarians pride themselves on the purity of the beer as one of the early laws laid down by the King Wilhelm 1V in the 16th century says that only barley, water , yeast and hops must be used to brew beer. Even today there are several spirited stories around beer. One of them is about a challenge on who would consume the maximum gallons of beer and yet stand on one leg after every gallon and thread a needle. Can you do it ? 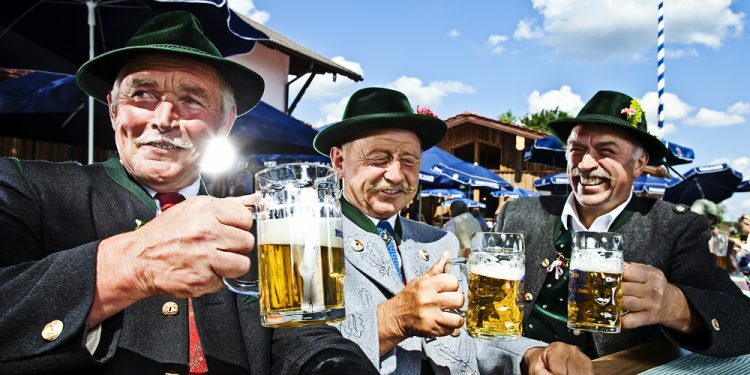 The people of Munich pride themselves on their Bavarian customs and traditions and are quick to point out that it is not the same as German culture. Laughter echoed down the beer halls as men and women in traditional costumes swirled past us. I stayed in a quaint bed and breakfast, Laimer Hof housed inside a 200 year old building where my host and hostess regaled me with stories on Bavarian culture, donned in their traditional dresses. The Viktualienmarkt is another landmark of Munich and one of my favourite hangouts and recommendations when it comes to the top ten things to do in Munich. There were so many stalls selling fresh food but I planned to have a beer in a beer garden and wait for the dancers. I was fascinated by the Honey House where 40 different varieties of honey were sold. Walking around I saw tall Maypoles everywhere, including one at the market. 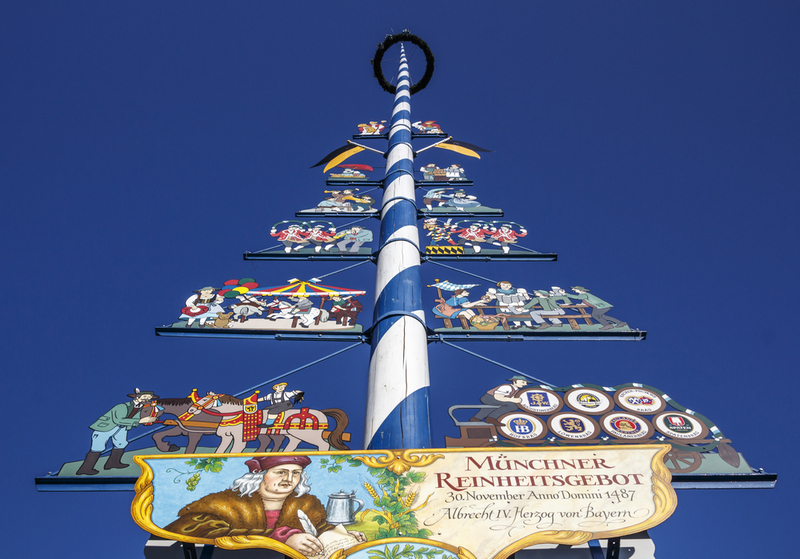 Referred to as Maibaum, Bavarians celebrate the Maypole Day on May 1 every year. Music, dance, bands and beer set the tone of this festival as the locals dress in their most beautiful traditional clothes. There is even a special beer brewed for the festival. 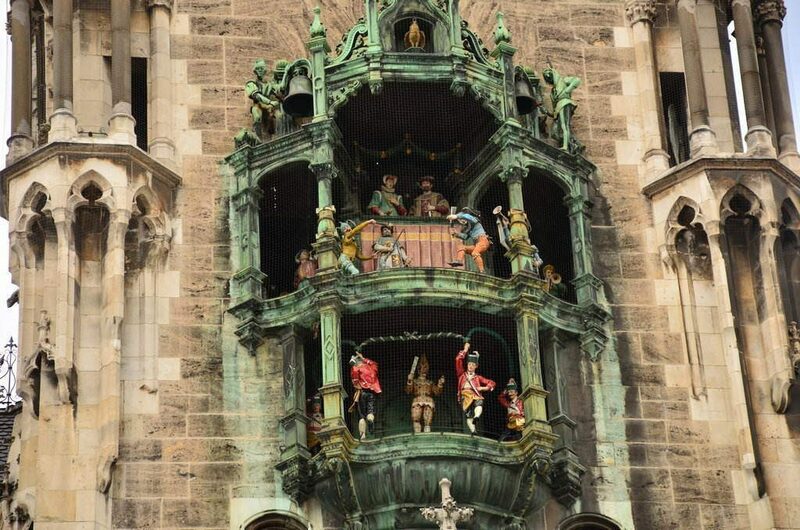 Young men decorate the tall pole and there are symbols which represent the various craftsmen and their guilds. At the top is a wreath from which food and alcohol bottles are hung. The very ceremony of raising it is an event by itself with music and dance. My guide Klara told me that sometimes the poles are stolen by people from the neighbouring villages and it is part of the tradition. A ransom is usually asked which is paid back with copious amounts of beer and food. I even heard of a story where a 20 metre Maypole atop the Zugspitse , the highest mountains in Bavarian Alps was stolen with a helicopter. I thought that was a bit of an adventure. It was five minutes to noon and everyone crowded in front of the towering larger than life Neues Rathas or the New Hall in Marienplatz waiting in bated breath. As the clock struck twelve, 43 bells began to chime as 32 life sized puppets started to dance and perform for you. This was my first introduction to Marienplatz as I looked at Rathaus Glockenspeil and watched this fifteen minute ceremony. The first story depicts a wedding of Duke Wilhelm V with Renate of Lorraine and there is a charming duel fought between the knights of Bavaria and Lothringen. The Bavarian knight is of course the winner. I also saw a 16th century dance performed by these puppets called the Coopers Dance and the spectacle finally ended with a rooster signing off. If you have just a day in Munich then make sure you are here as this is one of my top ten things to do in Munich. I have always loved hanging out at squares and wandering around the small cobbled lanes or sitting by a bar and having a drink and watching life pass me by. Marienplatz named after the Marian column or Mariensaule has both the Old and New Town Halls and the former which looks new in a fresh coat of paint houses one of the most quaint museums I have ever seen – of dolls and teddy bears. Head there and read about how teddy bears have a German connection. There are several cathedrals and churches here -Peterskirche being the oldest church and Frauenkirche, which virtually represents the city. Walk around and you see several squares . Karlplatz or Stachus named after an old pub is another of my favourites where you can shop to your heart’s content. Brienner Strasse is a royal avenue located at Odeonplatz where you can see the most magnificent palace , the Residenz of the Bavarian kings. Take a tour on the Hop on Hop off bus which is recommended as one of the top ten things to do in Munich . 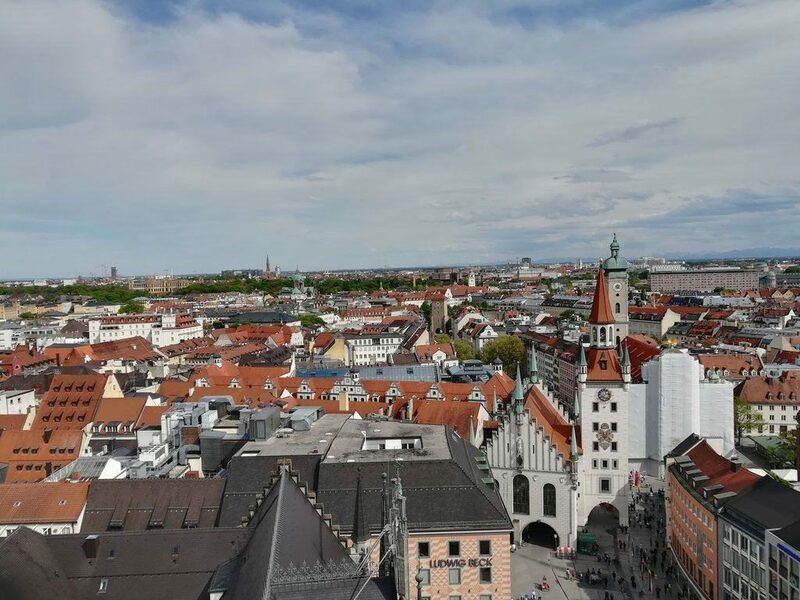 It will take you through the Neo Gothic Maximillianstrasse and The Max Joseph Platz where you can see the Residenz and National Theatre are located. There is also Ludwingstrasse which starts at Odeonplatz that treats you to a piece of Bavarian history. I spent an evening walking from Marienplatz to Odeonplatz. A large concert hall called Odeon gave the name to the square. There was a bon fire and some students were sitting around and everyone joined in singing. It was after all, Saturday evening and there was so much bonhomie around. And I let myself be swept away in the spirit. Gods, demi gods, mythical creatures, animals, naked boys and composers are carved in stones and scattered all over the city as these sculptures are fountains built centuries ago. Out of the 1200 fountains, about 100 of them are still used to drink water. Every fountain tells a story . 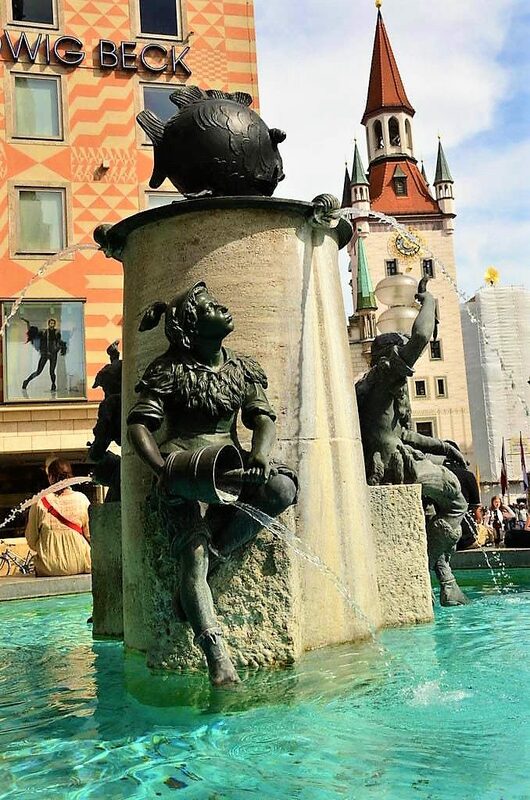 One of the most popular is the 400 year old Wittelsbacher Fountain located at The Residenz where you can see the Roman Emperor Otto the Great surrounded by the carvings of the Bavarian rivers – Isar that flows through Munich along with Inn, Lech and Donau. The Roman Gods – Neptune, Ceres, Juno and Volcano add to the tapestry of art, representing the four elements . Another landmark is the Richard Strauss Fountain that pays a tribute to the composer creating music. 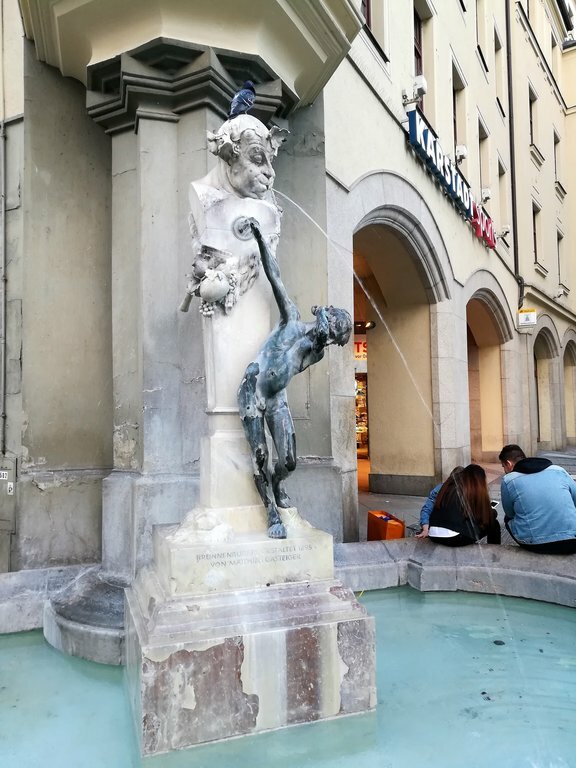 Everyone heads to the Fischbrunnen or the Fish Fountain at Marienplatz that reminds you of the time that the city’s oldest fish market was located here. Inside a beautiful garden is the fountain that celebrates the God of Water, Neptune. 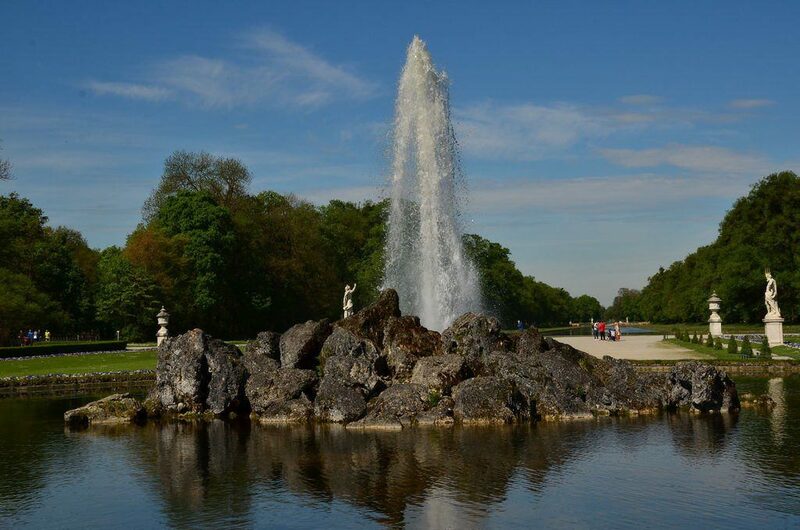 I can just go on a fountain trail in the city and put together stories of Munich and you must as well, as this is one of the top ten things to do in Munich. If the Residenz , the largest city palace in Germany with its 120 rooms and over 10 courtyards does not overwhelm you, then I dont know what will . 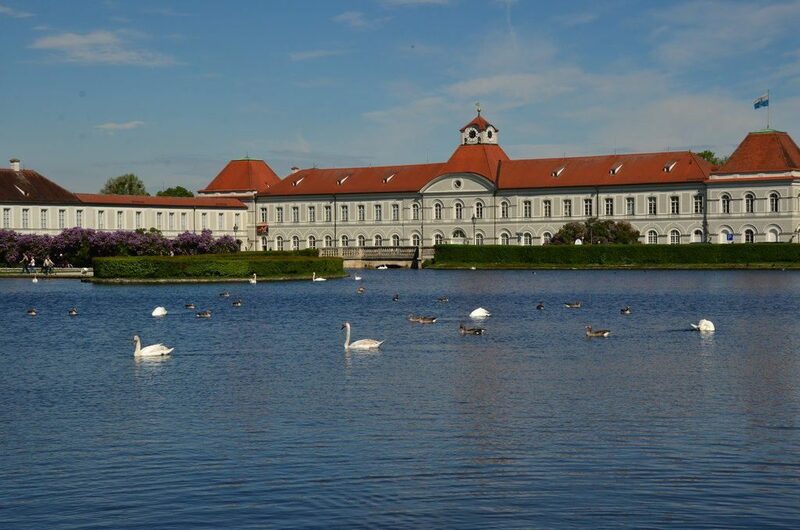 The abode of the Bavarian rulers has three parts to it – the Konigsbau, the Alte Residenz and the Festsaalbau. It did take me a while to pronounce these names and I still have not got them right to be honest. I needed almost an entire day just to soak in the magnificence as it is one of the top ten things to do in Munich. 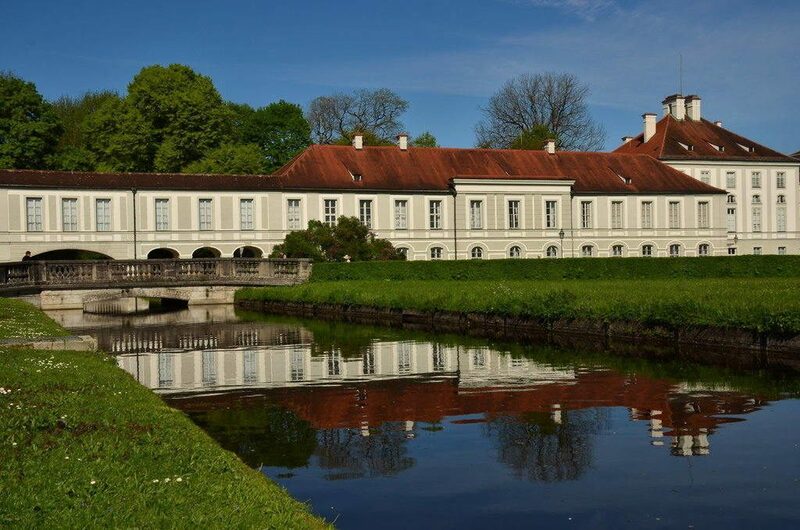 But the Nymphy or the Nymphenburg Palace in my opinion is meant for picture postcards. 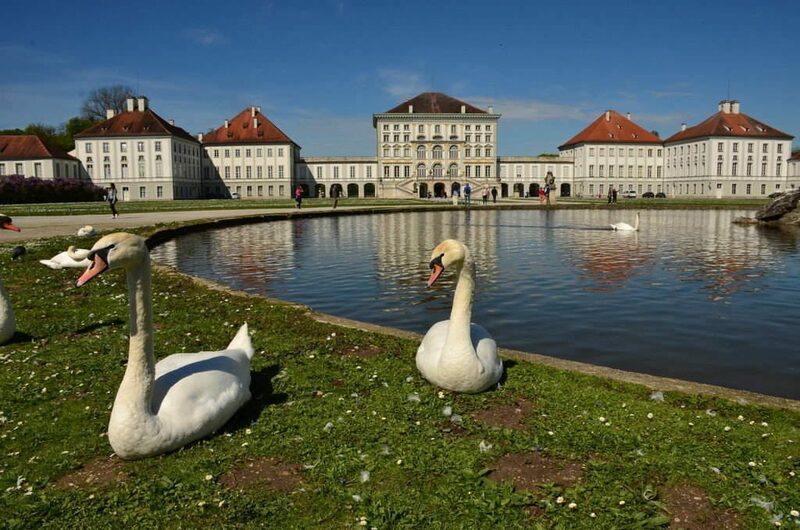 No wonder it is referred to as the Castle of the Nymphs and is highly recommended as one of the top ten things to do in Munich. While you wander around the gardens and visit the royal chambers , do not miss the Gallery of Beauties , where 36 beautiful women look at you from their portraits, commissioned by the King Ludwig 1 of Bavaria. 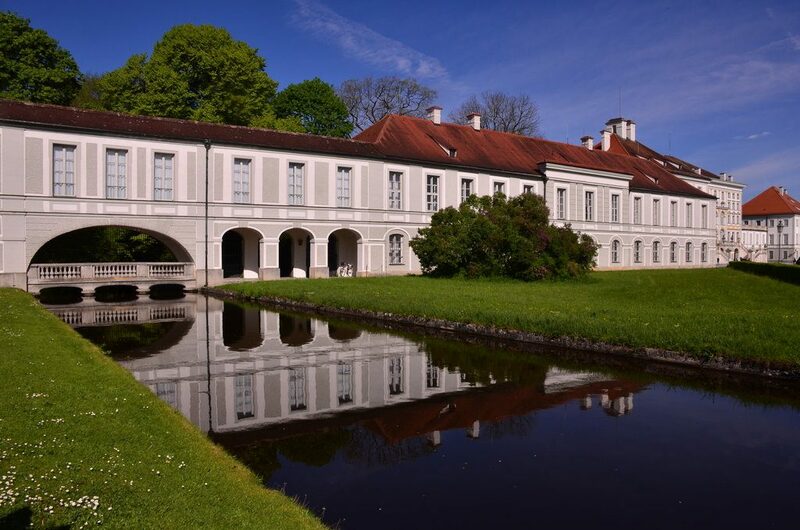 There are several smaller palaces and buildings built around the castle and one of them is the hunting lodge, Amalienburg. My host at Laimer Hof did mention that there is a private honeymoon spot here booked here all the time. The palace was apparently a gift by the King Ferdinand to his queen Henrietta after she gave birth to his son. You can probably imagine that you are surrounded by nymphs as you lose yourself in this atmosphere. You can even go for a gondola ride at sunset and get all romantic. Munich has several other palaces but it you still want to get into the world of fairy tales, then go on a day trip to Neuschwanstein. The Devil’s Footprint and more stories. 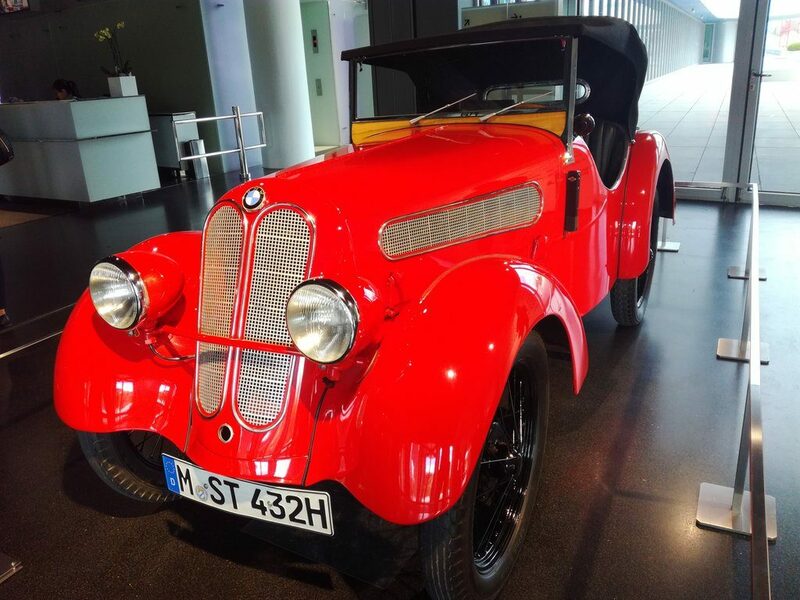 Every town has its share of stories and Munich is a treasure trove of legends. From quaint and charming tales to quirky and hilarious yarns, you hear them everywhere. My favourite is about the Devil. 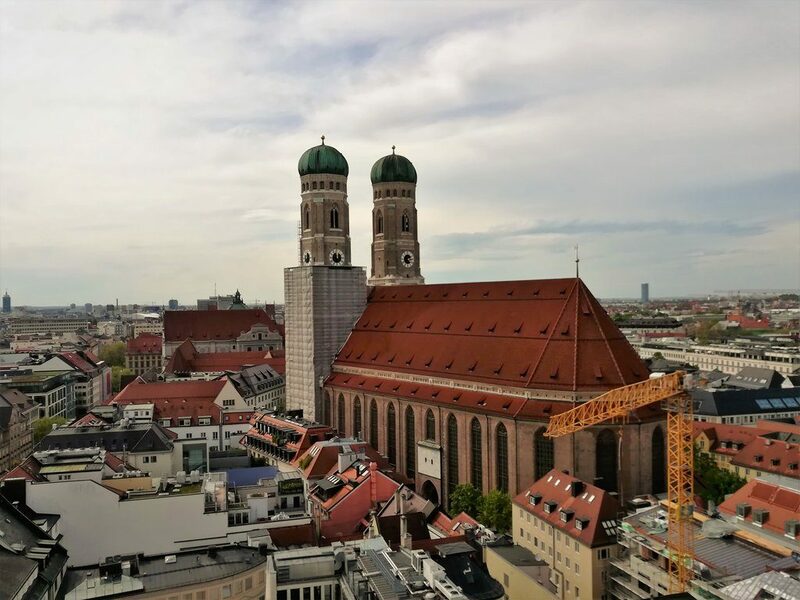 Munich’s favourite landmark is the Frauenkirche or the Cathedral of our Dear Lady that stands tall amidst all other buildings in the city. You cannot miss the twin towers of the church. Built in brick, this 15th century cathedral has a connection with the devil. According to the legend, the architect could not fund the church and he did a deal with the devil that he would build the cathedral without any windows so that it is dark. When the devil did come for his inspection, he found that the architect had kept his word. When I saw it from the main entrance it did look like there were no windows around for they have been clearly hidden. The devil was apparently so furious when he realized that he had been fooled and that he could not enter the consecrated church. 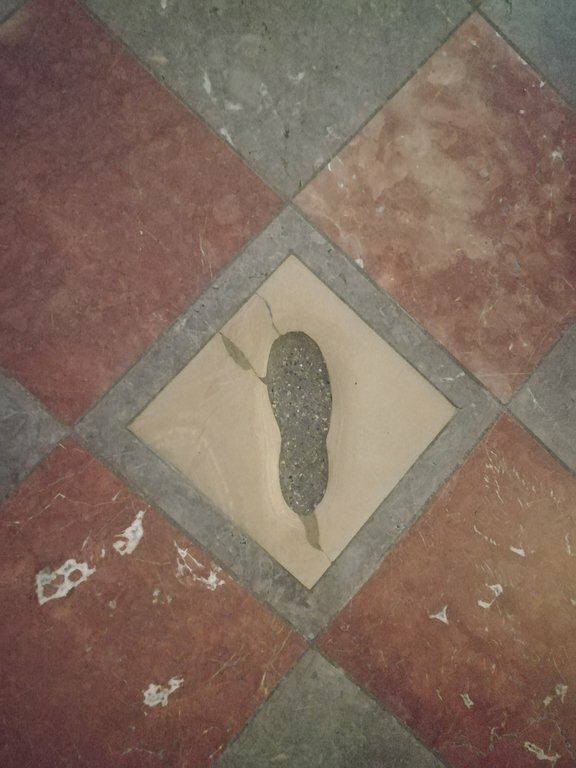 He left the cathedral in anger leaving his footprint inside. The area outside the cathedral is extremely windy and it is believed to be the handiwork of the devil as well whose spirit huffs and puffs around the church Nevertheless the church which has been rebuilt does have quite a few windows today. 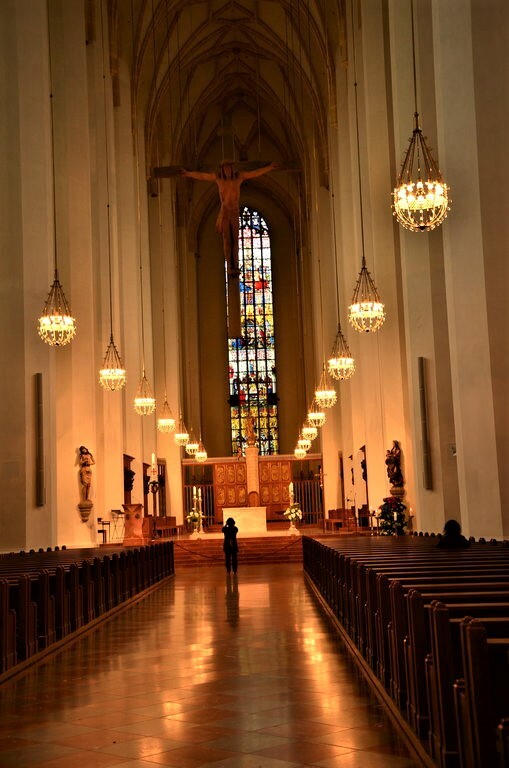 If you have time for just a day in Munich then make sure you head to this cathedral as it is one of the top ten things to do in Munich. The passion for football runs in the veins of the Bavarians . Before you know it, you will be caught in an animated conversation on football if you are passionate as well. Almost everyone I met was an ardent fan of team FC Bayern. And if you dont get a chance to watch a match then head to the Allianz Arena and get a stadium tour and enter the locker rooms and listen to the stories. 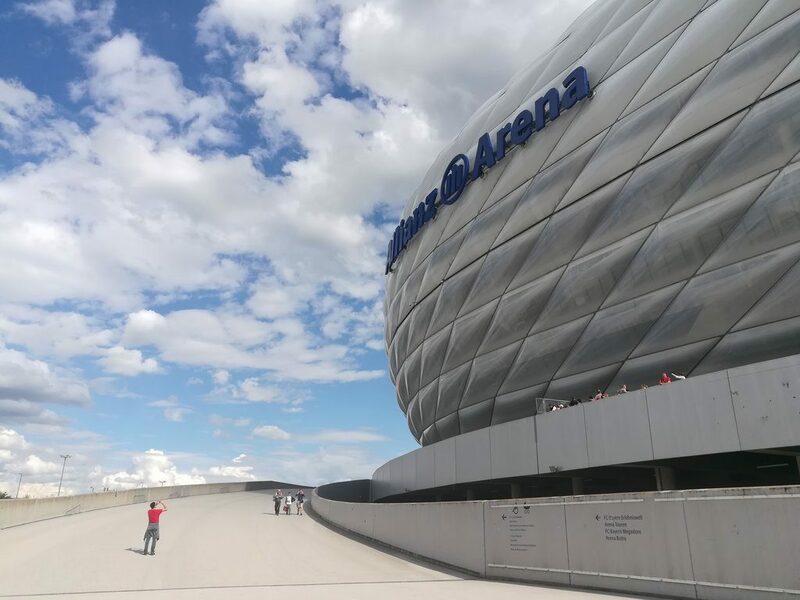 The Allianz Arena , nicknamed the inflatable boat can seat over 75000 people and you can go there only on a guided tour . You can also see a museum here of the FC Bayern Munich club if you are a die hard fan and pick up some souvenirs as well. Even if you are not into football, it is an experience just to be here and it is one of the top ten things to do in Munich. For all sports fans, there is another legendary stadium awaiting you. 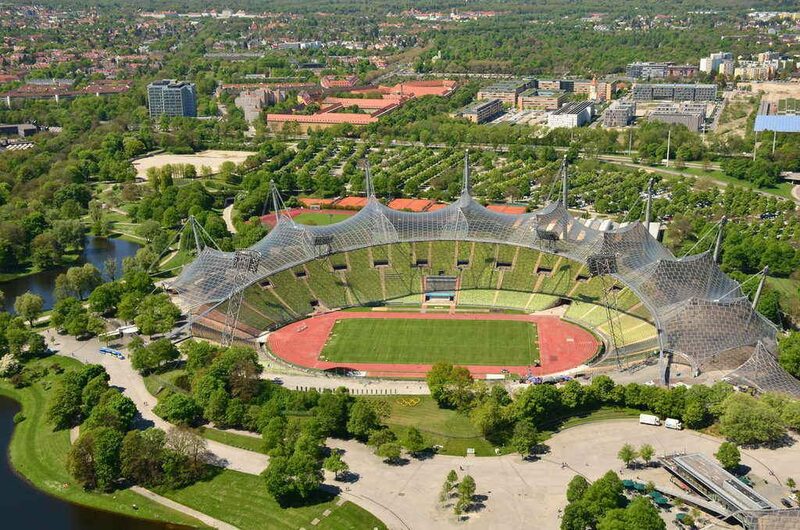 The Munich Olympics has long got over in 1972 but the Olympic Park is a destination by itself and it is one of the top ten things to do in Munich. You go back in time recalling some of the best and worst memories of the Olympics which was marred by violence but the second largest stadium in the world beckons adventure enthusiasts as you can walk on the roof and do some zip lining as well. Do not miss the Olympic Tower with its viewing platforms at 190 metres where you can see the Bavarian Alps on a clear day. And end your tour with a sumptuous lunch and a glass of wine at the revolving Restaurant 181. 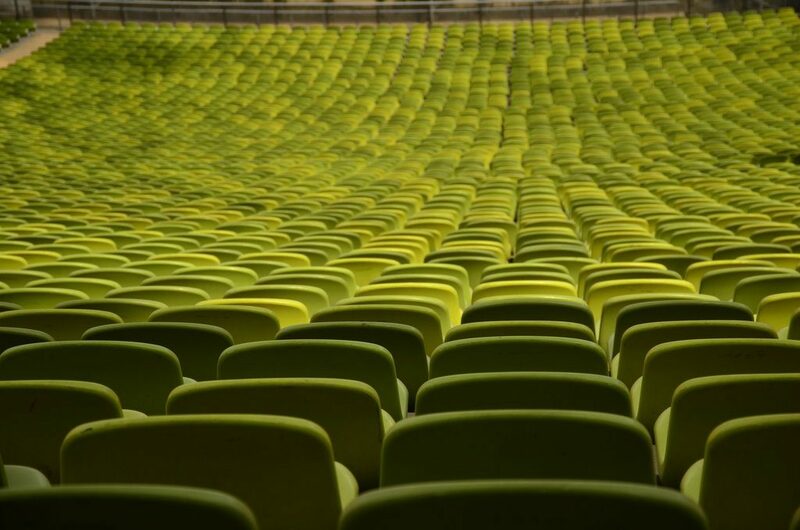 When you step into the salad bowl or the cauldron, you realize that you are walking into not just another museum, but inside the portals of an institution. While you are at the Olympic Park, the history tour starts here. Apparently the area around the Olympic Park was once the airport and BMW which was manufacturing aeroplanes used the air strip as their testing ground. The first time I saw the Bavarian Alps was from up in the air. I was flying out of Munich and the pilot announced asking us to look out of the window. I fortunately had a window seat and the mountains clothed in ice and snow gazed back at us. We flew above it as the clouds finally threw a blanket over my view. My hostess at Laimer Hof was excited that she can see the Alps from her house. And Bavarians are proud of their highest mountain Zugspitze and the fact that Munich is the perfect gateway to the mountains. 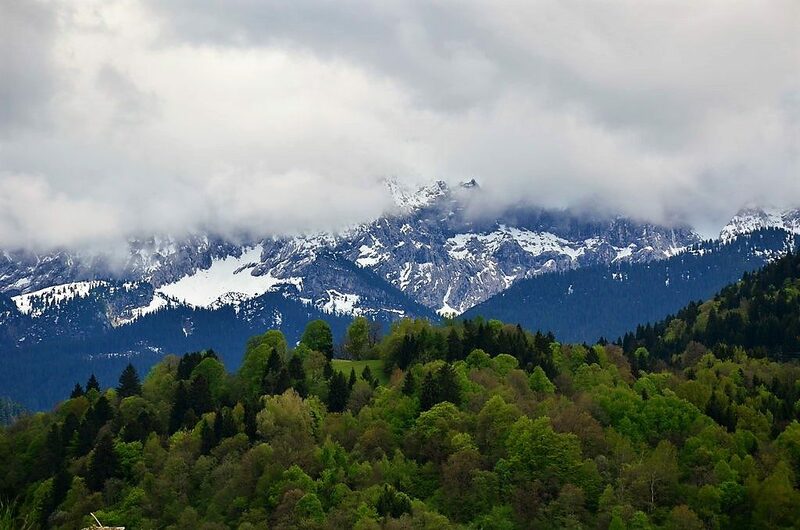 So I decided to head out to Garmisch to see the Alps. An accident on the tracks threw our plans out of the window and we could not take the cable car to the peaks, but we were content just to see the mountains from the quaint little town. And what a sight that was ! I am definitely going to come again to this little resort town which housed the Winter Olympics and have my date with the Bavarian Alps. If you have time for a day trip, then head to the Alps as it is one of the top ten things to do in Munich. You’ve got some really cool Photos that makes the trip to munich more Exciting! Thanks for this list!